Singapore is home to many millionaires, but it has also been the backdrop of many inspiring rags-to-riches stories! Sure, we’ve all heard of the fabulous accomplishments of some of the most famous self-made men; the likes of Bill Gates, Steve Jobs, and Li Ka-shing. But how much do we really know about our own home-grown success stories? 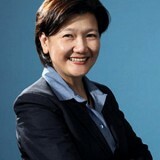 Chong Phit Lian, the first woman to be CEO of Jetstar, made her way to Singapore from Malaysia to study after her sole breadwinner father passed away. She paid her polytechnic school fees by giving tuition and applying for grants. After graduation, she juggled three jobs as a technical assistant, an insurance salesperson and a tutor. Using her hard-earned savings, she applied to a university in Birmingham and paid her tuition fees by taking on part-time work at a factory there. Her big break came when she took the helm at Jetstar Asia which was in the red in in 2006 and quickly turned the business around. 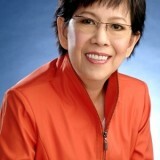 To Chong’s credit, Jetstar Asia made S$6 million in revenue in 2010. Chong is now the chief executive of Singbridge Holdings Pte. Ltd., a unit of Temasek Holdings, which is focused on investing in urban-development projects in southern China’s Guangzhou province. Olivia Lum grew up as an orphan under her grandmother’s care. She was constantly worried that her grandmother’s gambling habit would result in both of them having no food or roof over their heads. Lum eventually took on the role of breadwinner and took on a few jobs (tutor, promoter in department stores, and door-to-door cosmetics salesperson). Her big break came when she invested her S$20k savings in water treatment equipment and successfully grew the firm from a three-man operation to a success of more than 2,000 employees. The company is now listed on the Singapore Stock Exchange and has over 1,200 staff across Asia, the Middle East and North Africa. As a young boy, Neo Kah Kiat was no stranger to having his utilities cut off or having to nail wooden planks to windows to keep out the sun and rain. Despite being a top student, he dropped out of Secondary 2 to earn money for his family. As a teen, he helped out at a relative’s chap chye peng stall. His big break came when he invested S$15k, borrowed from friends and relatives, to lease a small kitchen in Joo Chiat to run a catering business. Neo Group is now the parent company of three catering businesses, a wine cellar, a Japanese food-outlet chain, a restaurant, and a yacht catering service. Suhaimi Rafdi and his siblings were left by his biological parents in the care of their grand-uncle and grand-aunt who had raised them as they struggled to make ends meet. The youngest of four siblings, Suhaimi put himself through school by working at McDonald’s and Hardee’s. After completing his ‘A’ Levels, Suhaimi worked as a management trainee at the former Hotel Phoenix and pursued a Shatec diploma that was sponsored by his employer. Later, he landed a trainee manager position at KFC and worked his way up to become restaurant manager within three years before taking up a position as Housekeeping Manager for Singapore General Hospital. His big break came in 1996 when he was poached by Cathay Cineplexes to take on the role of deputy general manager to modernise its operations and workforce. Determined to pursue higher education to secure his children’s future, Suhaimi signed up to do his Bachelor’s and then Master’s degree by attending night classes several times a week. He quickly rose through the ranks and became CEO in 2008 at the age of 39. Lim Hock Chee started out by feeding pigs and cleaning pens on his father’s farm in Lim Chu Kang, before the estate was relocated and subsequently shut down. He then met a mini-supermarket owner who allowed him to rent some space to sell his stocks of pork, thus teaching him the basis of the supermarket industry. His big break came when the same owner ran into financial trouble and had to let go of the outlet. 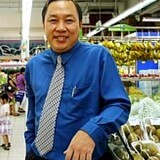 Lim Hock Chee bought the business and with just $30k started his first Sheng Siong outlet. How’s that for some inspiring tidbits?